The New and Improved High power Magnum series 18hp Self Propelled Leaf Blower has been tested and proven by industries best professionals. 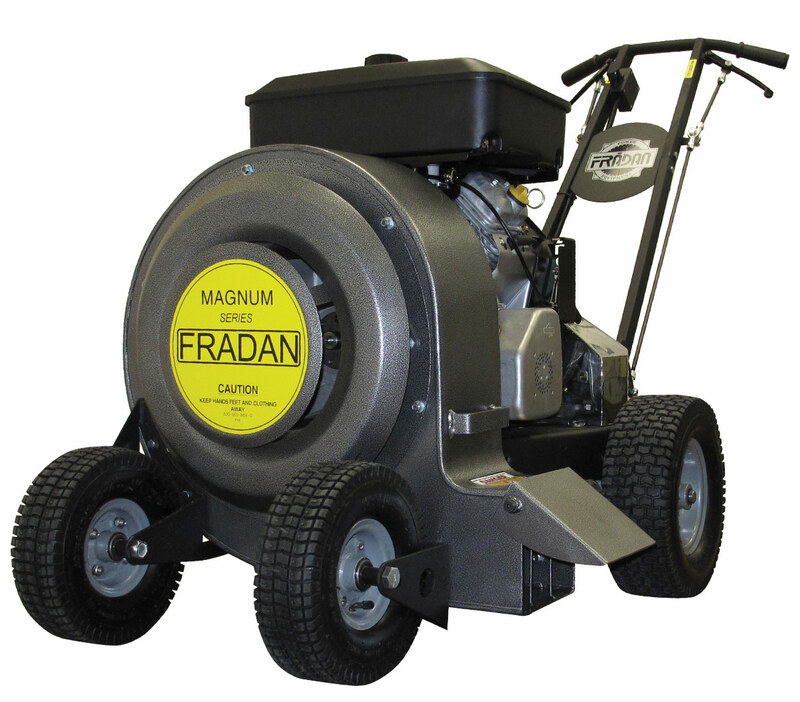 While still keeping the powerful magnum design, this new blower features a 30 inch wide wheel base along with dual front wheels offering more stability on hills and lifting the machine over curbs. These units come equipped with an electric starter, variable speed forward and reverse hydrostatic transmission, parking brakeand a skid plate to protect the undercarriage. Also, standard on this unit is the electronic air deflector which allows the user to control the direction of air flow with the option to shut off air stream.